The fallout from Britain's vote to leave the European Union is not limited to Britain. There are new efforts to stop EU immigration quotas in Hungary. In addition, Poland, the Czech Republic and Slovakia recently joined Hungary in arguing for less EU control over their nations. In the Netherlands, some people are pushing for a vote to leave the EU, similar to the vote held last month in Britain. Half of Dutch voters support such a referendum, according to public opinion surveys. In Hungary, voters will decide in coming months on whether to reject German Chancellor Angela Merkel's proposals for accepting refugees. Germany is a leader of the EU and has Europe's largest economy. Attila Szigeti lives in the Hungarian town of Bicske, about 37 kilometers west of Budapest. He plans to vote against the migrant quotas. At first, Szigeti said, he did not have a problem with immigrants. "They did not do anything serious, just stealing corn from the edge of my cornfield," he said. But as the number of new arrivals grew so did the problems, he noted. Szigeti recently cut off all the hair from his head, but denied he is a skinhead. "With this look, I do not need to watch my back. I do not have to be afraid because this way, I appear tough," he said. Refugees and migrants in a Hungarian camp are surprised some Europeans see them as a threat. "Why are we not allowed here in Europe, we are not human beings like you?" asks Mano, a 22-year-old medical student from Afghanistan. He arrived at the camp last week. He left Afghanistan after extremists killed his brother, who worked as a translator for French forces. Mano said he and others should not be seen as threats. What can we bring with ourselves? Nothing. We also want peace. That's why we leave our country. He added. In the Netherlands, some people are pushing for a vote on leaving the European Union – just like Britain did in its vote last month. Laurence Stassen is a former member of the European Parliament. "As a nation state, we should have our own borders, our own courts, and to make our own laws – and not the people in Brussels or the European Union," she said. Stassen was once a member of the Netherland's Freedom Party. She left the party after one of its leaders made what she called discriminatory comments about Moroccans. In Rotterdam, there are concerns that leaving the EU would cost jobs. Rotterdam is Europe's largest port. Four hundred sixty-five million tons of cargo pass through it each year. "With Europe, we are 500 million people, the largest trading zone, the largest market by itself," said a spokesman for the Rotterdam Port. "And the Netherlands as a country is only 16 million people." 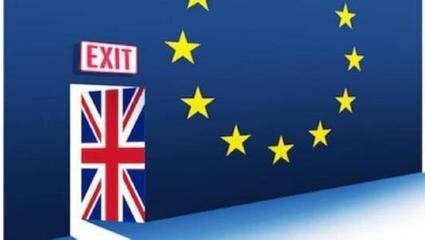 In Britain, there is talk of possible legal action to stop Britain from leaving the EU. Eight lawyers want to take the "Brexit" vote to the courts, hoping for a review by the country's Supreme Court by September. I'm Bruce Alpert. In addition, their ability to make money will not be hindered while they wait. People called on their senators to vote against the acceptance of Texas. The man stood watching from the edge of the palm trees. He threatened to cut my hair off. 1.The fallout from Britain's vote to leave the European Union is not limited to Britain. Grundy lost his job in the fallout from the incident. In 1979 and 1980, I seemed to have an affinity for adverse fallout. 2.The fallout from Britain's vote to leave the European Union is not limited to Britain. This way you have more options in your career because you aren’t limited to just one field.